Recently, at the last worldwide diggers meeting “Detectival 2018” in the UK, the Turkish manufacturer of metal detectors Nokta/Makro announced the merging of brands. Now there will not be a separate Nokta or a separate Makro – there will be a Nokta-Makro. Everything is very simple! 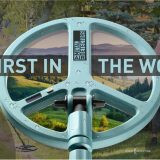 In addition, the first product of the joint brand is a novelty of 2018 – the series of metal detectors Nokta-Makro Anfibio Multi, Nokta-Makro Anfibio 14 and Nokta-Makro Anfibio 19. As it becomes clear from the titles – the differences in the series are only in the search frequencies. The series is designed to completely replace the old line of metal detectors Nokta Fors: Nokta Fors Core, Nokta Fors Gold, and Nokta Fors Relic. 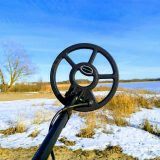 A metal detector with three search frequencies of 5/14/20 kHz, a universal detector for searching treasures, a beach search, detecting of coins and antiquities. The number of programs for searching is the same as the model Anfibio 14. Let me remind you that in the “Multi” version all frequencies work only one by one, that is, it is not a multi-frequency detector like Minelab, where all the frequencies work simultaneously! The version will cost more than all the others in the series. Single-frequency version with an average of 14 kHz for all search tasks. Perhaps the most optimal option from the entire line, it should cost cheaper. 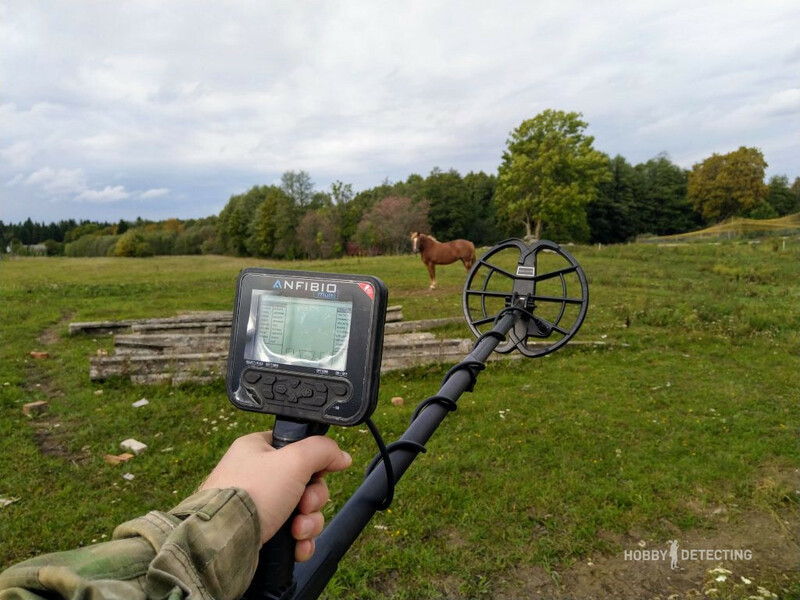 The frequency of 14 kHz is excellent for all types of search, it is not for nothing that practically more than 50% of VLF metal detectors in the world operate at 14 kHz +/- or have this frequency available for searching. 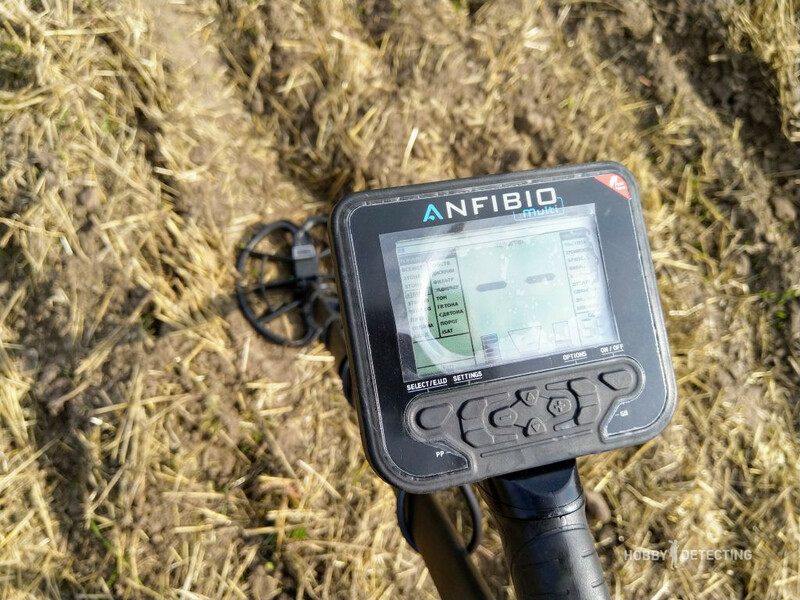 The Gold-digging version of the metal detector series Anfibio operates at a frequency of 19 kHz. Let me remind you that this frequency is best suited for beach searching, and for small coins and jewelry. There are fewer search programs, a slightly modified menu. 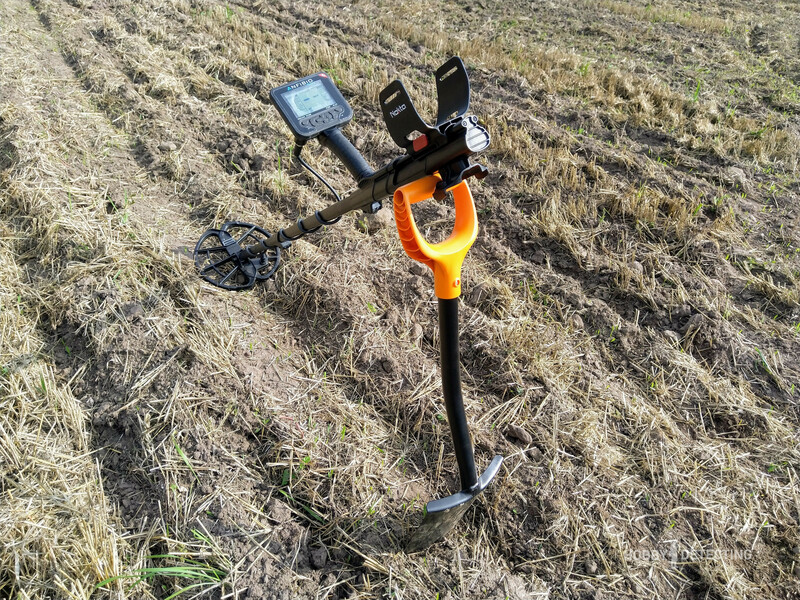 Our team was chosen to test the prototype (pre-release test) to test the performance of the metal detector, and it passed all necessary tests and comparisons with other top metal detectors present on the market of metal detectors in the world. This will be discussed below, but for now, let’s look at the design features of this model. Nokta Anfibio received all the best designs that were used in previous models of metal detectors – Nokta Impact and Makro Kruzer. From Nokta Impact, an improved bar with an excellent balance of the weight of the metal detector, and from Makro Kruzer, the control panel, power solutions (built-in battery) and the circuit. Let me remind you that the coils of the series of Nokta Anfibio and Makro Kruzer are interchangeable! 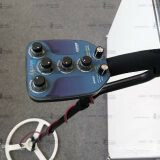 The metal detector has received a new lightweight bar with the possibility of a quick change of position, it is enough to just press the large red button once and the button and the armrest can be very simply moved on the rod. An interesting and original solution, which I have never seen before! Very similar to the CTX3030, but there is a regulator in the armrest. 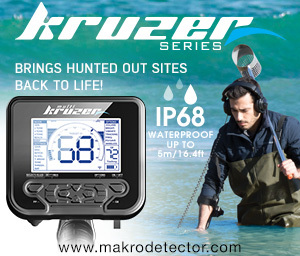 Just like in the Makro Kruzer, under the armrest, there is an attachment for the extra battery compartment, which can be connected during detecting and the detector is charged right on the go. A good solution in case you left to dig for a few days, and you do not have electricity. Also, along with the new metal detector, there was introduced a completely new coil – a round 11″ DD! It really has added a couple of centimeters of depth compared to the regular coil for the Makro Kruzer 11″ ellipse. The bar is assembled very quickly and simply, the latches are very similar to those that were in the Impact, they are comfortable and strongly hold the bars. The wire for the coil does not pass inside the rod, as it was with the metal detector Nokta Impact, but turns around it, because the coil can also be used from Makro Kruzer, so the wire length should be the same. Also, the metal detector received a new and convenient grip. The height of the handle is pretty standard, the only thing that I did not like a bit, is these small buttons on the front panel of the detector – they can be a little difficult to reach, especially to people with a small hand and short fingers. I had almost no such problems, with a few exceptions. The dashboard is identical with the Makro Kruzer; the only change is the backlight for the buttons so you can see the buttons in the darkness. The scale of finds is 0-99 (VDI), where the scale of ferrous metals reaches 0-15. 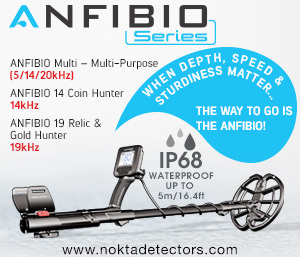 Once again, I recall – Nokta Anfibio stepped forward in terms of weight and overall ergonomics of the metal detector. The detector is easier and better balanced; it sits well in the hand. This is without a doubt. 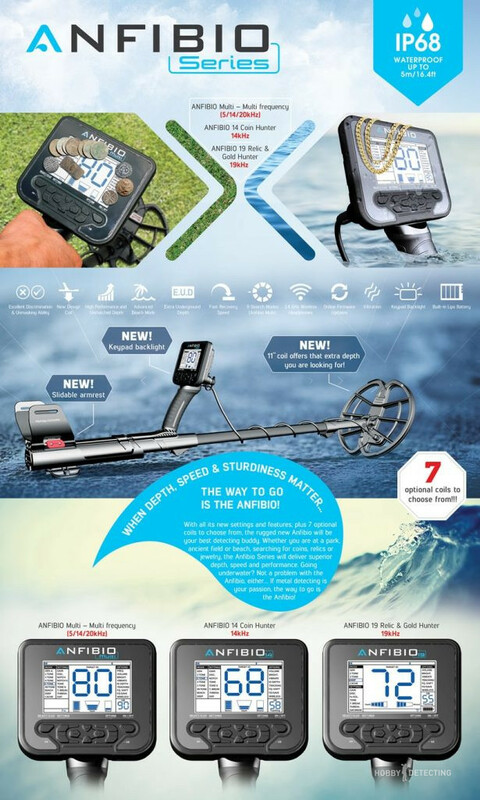 Do not forget about one of the main advantages of these metal detectors – they can be submerged underwater to a depth of 5 meters. Standard mode for searching all metals. There is no discrimination, single-tone signal. In this mode, the detector reacts actively to hot stones and, in general, is more sensitive to all metal objects in the ground. I recommend this mode for clean places, where you need to dig everything. It is suitable for searching in the forest. Dual tone mode. The threshold for changing the tone can be changed, for example, move it from 15 (standard) to 20. 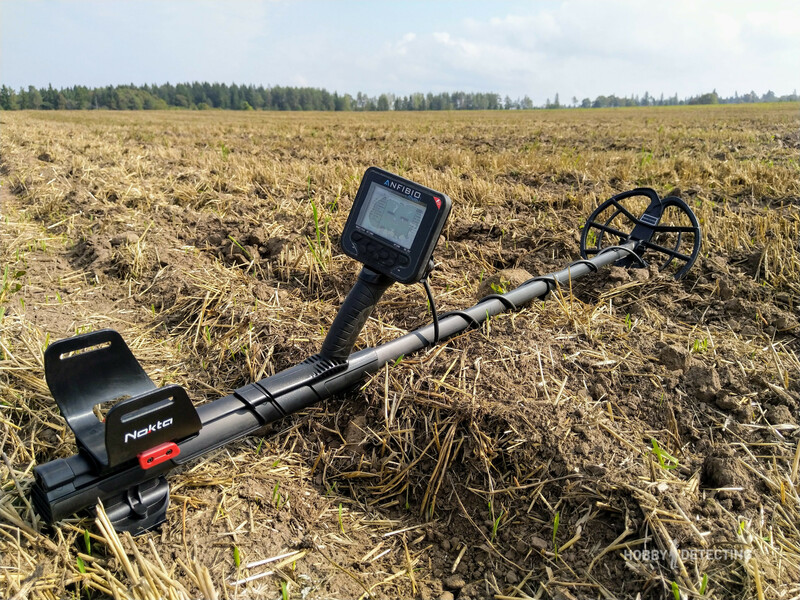 Quite a deep mode, as usual in all metal detectors from Nokta-Makro, suitable for normal detecting and exploration of new places. I noticed that there is no difference in the mode of 3 tones with Nokta Anfibio and the Makro Kruzer. 3 tones work very quickly on the sensitivity up to 90, and after 90 the detector already has a different recovery rate, so if you work on a trashy area, then in a mode of 3 tones, put a sensitivity of up to 89, and if you dig at an ordinary field, then above 90. As in the Makro Kruzer, this is a very sensitive mode, quite noisy, so it should be used wisely. As it seemed to me from my tests and experience of detecting – this mode became even more sensitive and noisy, sometimes I set the sensitivity to the level of 84-87, but in some places, I reached 95. I advise this mode for general detecting too, for most search tasks this mode is suitable. Five-tone mode. Not too deep, but very stable and not noisy. I used it when searching on the field with stubble, for example, when fake signals appeared when touching the grass and plants. This is a polyphony mode. Of course, I do not really use such modes, and I did not use it very much, but it can be easier to determine the type of metal with it, even if it gives a high VDI, but by the sound, it is clear that we are dealing with foil, a bottle top or deep rusty iron. Very quiet mode with pre-set high discrimination for searching on the beach. Objectively I will say – it is also suitable for detecting on wet plowed fields, where other modes become too noisy. For the beach, it fits perfectly (Obviously). This is a mode with a low recovery level and maximum depth. I hardly use it for detecting, but you can test it in your own conditions. To detect in this mode, you need to walk slowly and slow movements of the coil, then you will reach the maximum performance. In my case, when testing a prototype, this was a static mode that reacted to large metal objects in the ground. In general, this mode is perfect for detecting war relics, because if you raise the coil a little higher above the ground, you can sort out all sorts of small things on the surface and dig only larger objects. I recommend using it at a frequency of 5 kHz. For the rest of the settings, there is no change from the Makro Kruzer – the detector allows you to change the tones, shift the tone threshold and perform the necessary settings for ground balancing, threshold tone, shift frequency and so on. All you need for detecting. The most interesting chapter of this review, I think🙂. 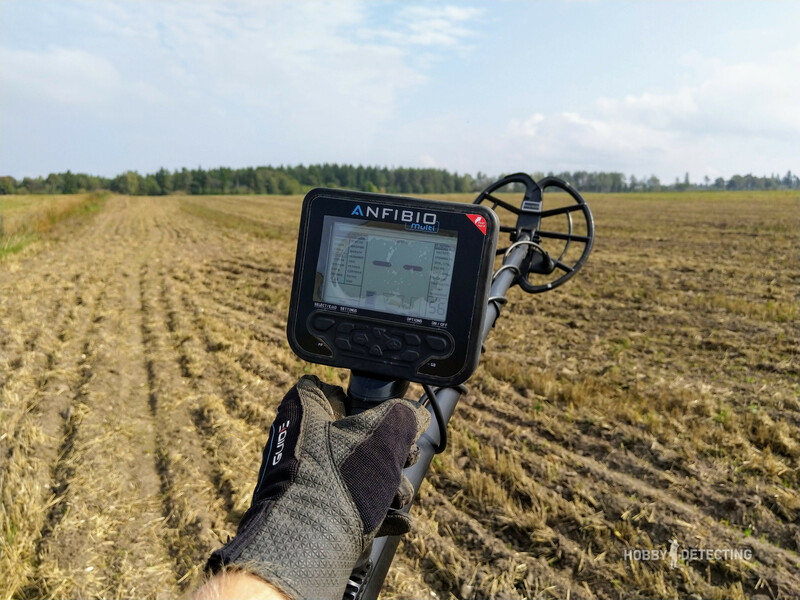 During the whole test period, the detector was subjected to all tests – detecting on such conditions as the beach, plowed fields, normal fields, vegetable gardens and so on. It survived immersion in the water and detecting under heavy rain. 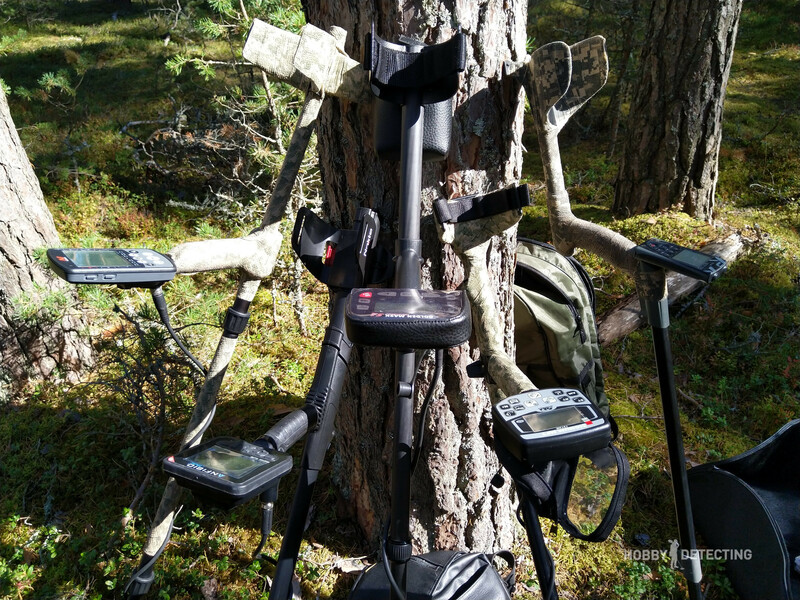 We also tested it on our range with buried targets, where I tested it in comparison with the main top metal detectors for 2018. In the vast majority of detecting trips, I used the program of 4 tones, sometimes switching to 3 tones or beach mode. 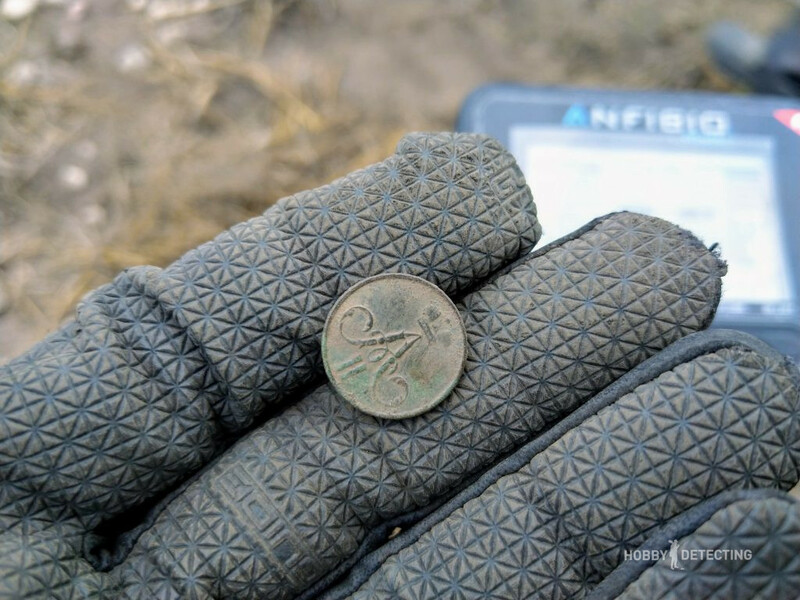 The detector quite clearly stands for useful finds and coins, almost in most cases I was not mistaken when digging out the finds from the ground. 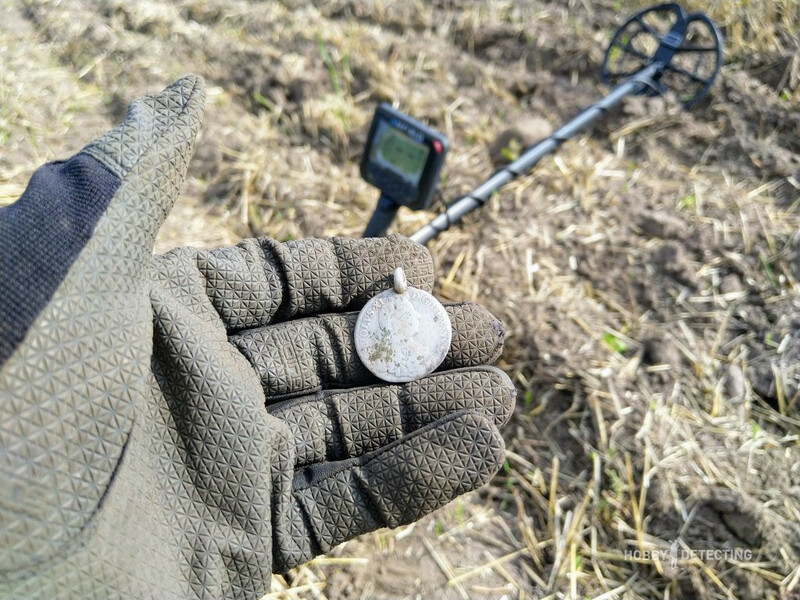 For example, in an “empty” place, I found a silver coin from 1671, from the era of the reign of King of Sweden Carl XI. 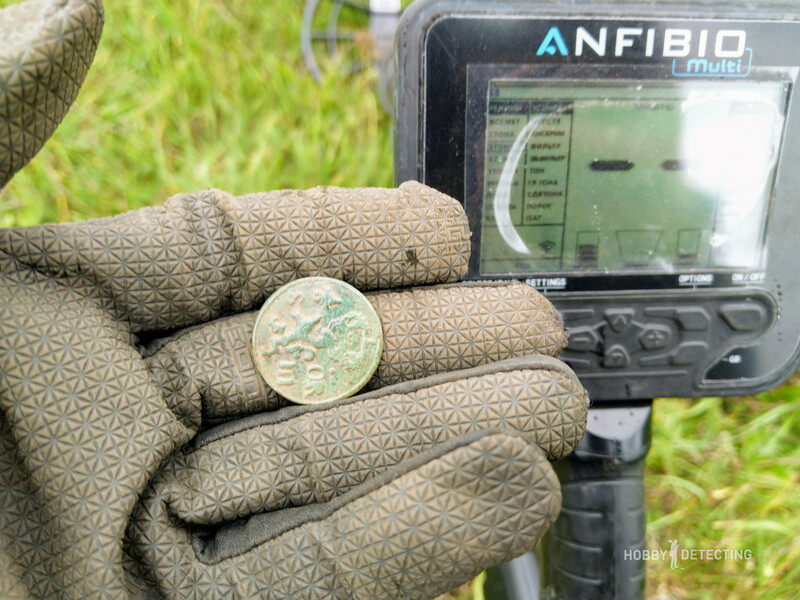 On that spot, I had detected several times, and several groups of detectorists in the past five years. Of course, in some places, the detector is quite noisy, especially in the 4-tone mode and on stubble or overgrown fields. When it hits a plant, interference and false signals appear, but in this case, it is necessary to move to more quiet and less deep modes and then return to the same field when it is completely free of everything. 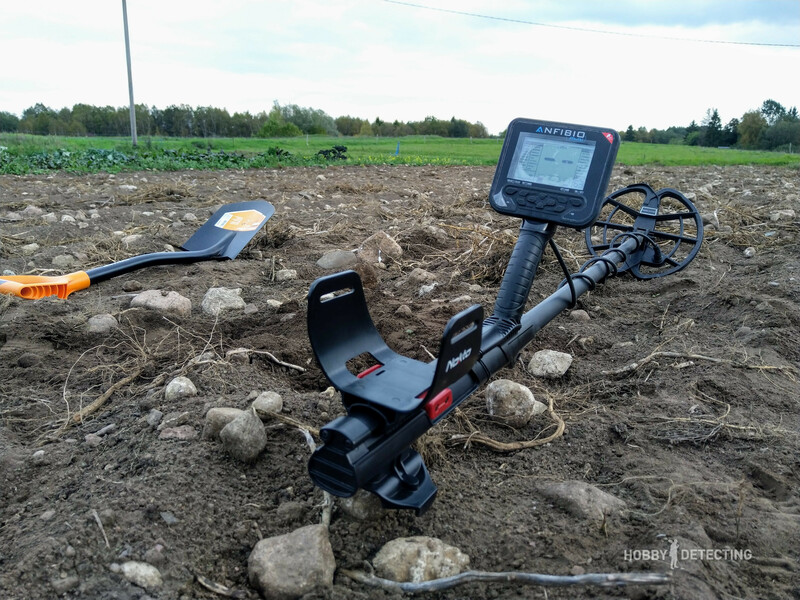 Of course, there was interference from the power line in places, but they were easily avoided with a frequency shift, so do not forget about this function when setting up your detector – you should always choose the quietest mode of operation. 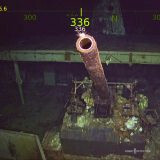 With the test and comparison with other detectors, the deepest mode turned out to be the following: Sensitivity at 93, correct ground balance, 4-tone program, and 14 kHz frequency. 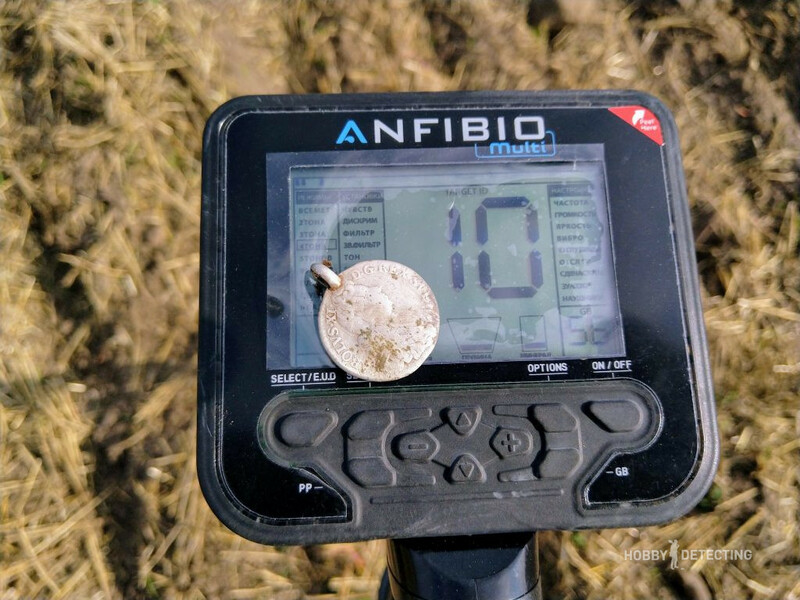 With these basic settings, the metal detector saw all the targets on our test site with coins buried at different depths. My average dig lasts for 4-6 hours and, honestly, my hand did not get very tired, thanks to the good balance and light weight of the metal detector. The built-in battery holds the charge perfectly. The round coil is much more interesting than the earlier ellipse and the depth has grown too. 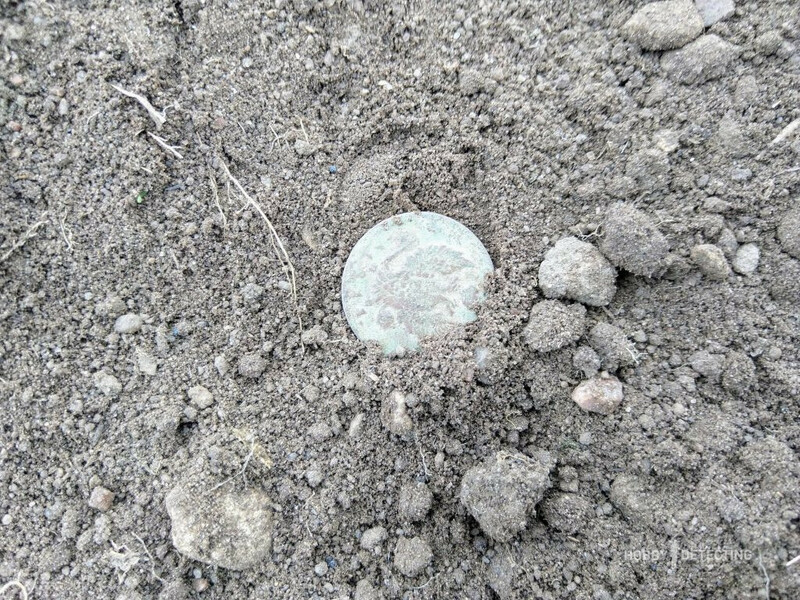 Coins, even small ones, appeared on broken fields from good depths, sometimes you had to dig a hole deeper than usual. I went into this field after some fellow detectorists had gone over it and I found some small finds in their tracks. I do not know if this was about luck, inexperience or the metal detector, but in their footsteps, two coins were found. Nokta-Makro Anfibio works with wireless headphones, which fit both the Impact and the Makro Kruzer. Such an interesting interchangeability. In the headphones, the detecting goes even more productive, so I advise you to use them! As you can see in the photo – the ground is very stony, and this makes it difficult to search because the stones at a depth can hide good targets. In Anfibio, as in the Kruzer, there is the EUD mode, so with detecting on rocky fields it is better to turn on this mode; it allows you to better recognize objects under difficult ground or stones. It seems that the manufacturer Nokta-Makro completely finished its line of professional metal detectors. 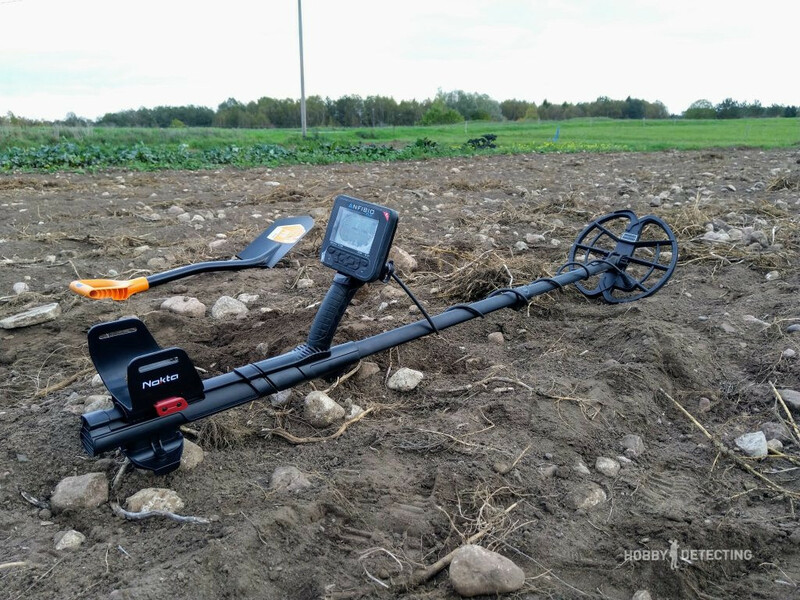 It will be interesting to see when the manufacturer will release an entry-level metal detector and a multi-frequency professional model. They promise that it will be in the next year (2019). 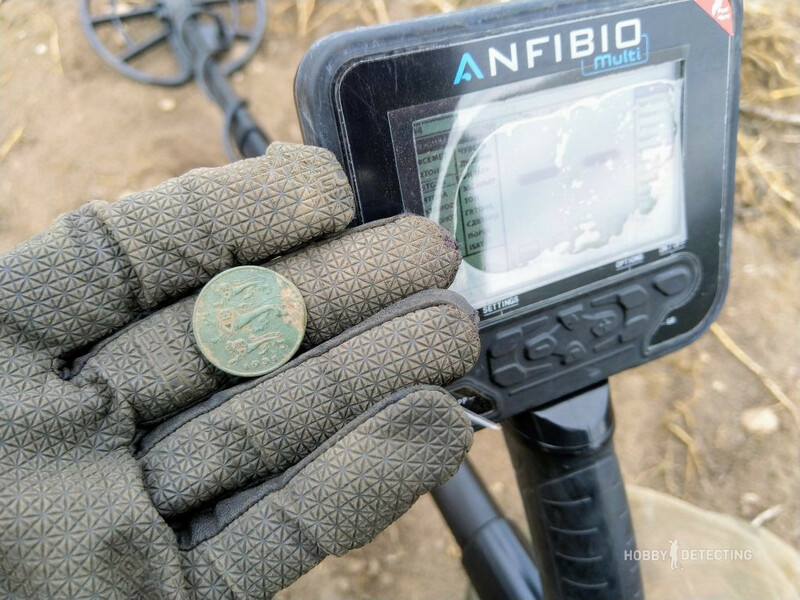 The following can be said about the Anfibio: the detector is worthy, it gives you good finds and there have been no problems with it. 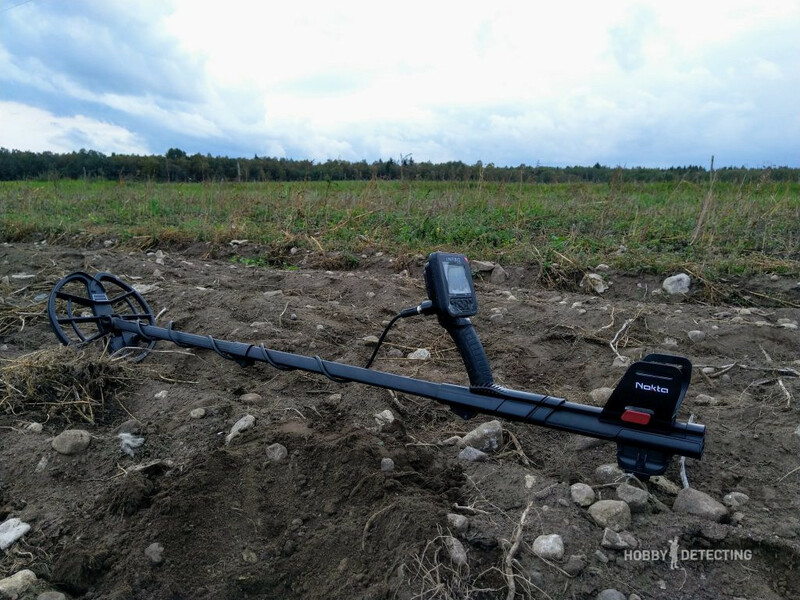 It is perfectly suited as a universal metal detector for most types of detecting. It is lightweight, with a good balance of the stem. It has a built-in battery and a sufficient depth. 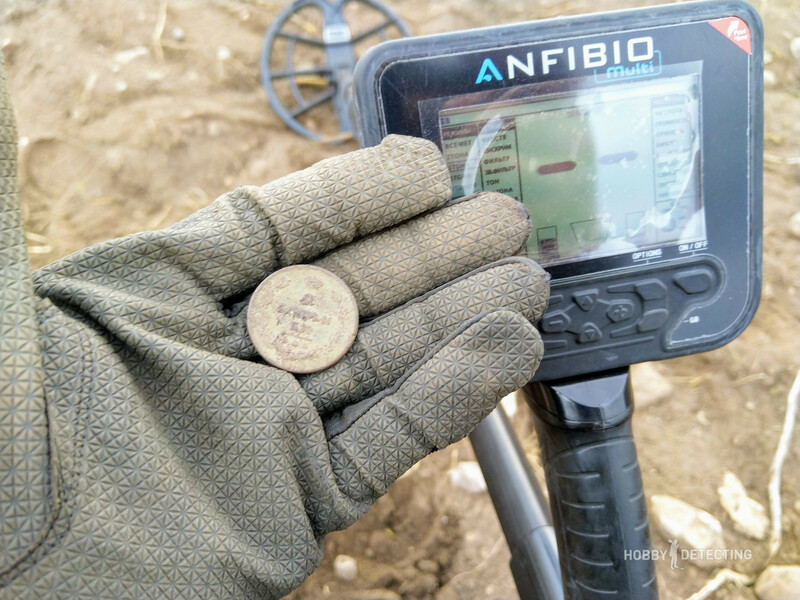 I think the model Anfibio 14 is optimal if you just dig coins and relics, but if you are looking for more on the beach, then you will be more satisfied with the model Anfibio 19. 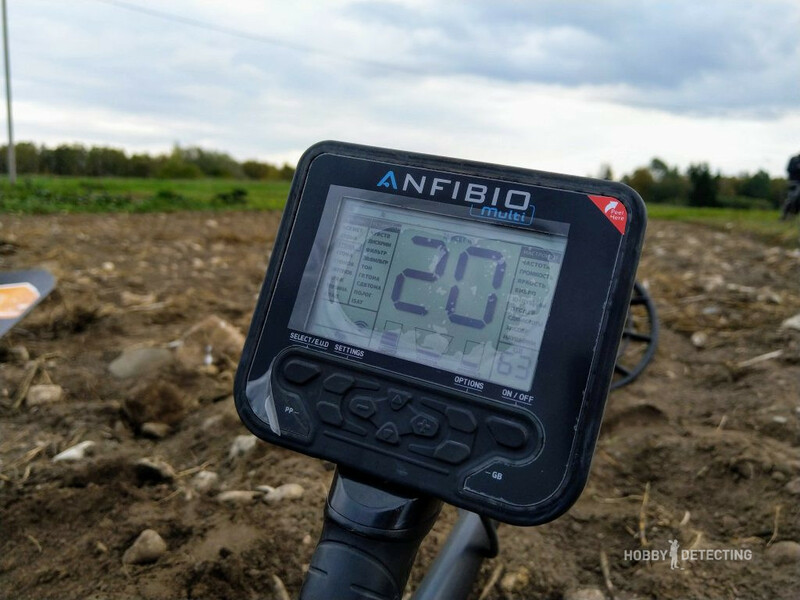 And if you are an “all terrain” digger, then the best choice here is the model Anfibio Multi, which has 3 frequencies (5/14/20 kHz). All the detectors come complete with wireless headphones and it is a serious cost saving if you look at the price of wireless headphones for the rest of the metal detectors. Do you have the Anfibio? If yes, then share your impressions and leave your feedback in the comments! are there wired headphones for under water searches , every wireless head phone i have seen hates water and loses signal. That is the technology limit. As Dave noted, water proof headphones are available. An equally acceptable solution for both the Kruzer and the Amfibio is to go to Options and choose Vibrate. You won’t hear anything, but you will feel the machines react to metal detected via the grip. 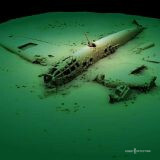 Yeah, it can help to search underwater! Nice idea, Dave! Is there any programs that are fast like 3tones at 89 but offer more depth. In 3tones at 89 with the kr24 coil, the depth is around 4-5inches.